The continued economic vitality of the town centre is a key objective of the Forum, particularly as we face changes (and some headwinds) in the immediate future. So to help us understand the sector we set out to provide a baseline for the next few years by mapping the current retail offer: is continued gentrification having a measurable effect? Is there a ceiling for coffee shops? Are the local independents maintaining share? Is the town centre responding to challenges by diversifying the leisure offer and the night-time economy? Indeed, the town centre appears to be growing with new sizeable retail units set to open along Tottenham Lane in the stretch between the Picturehouse cinema and Ferme Park Road – a vote of confidence, but is it sustainable? We set out to map the district as of December 2016. Click for the full table. And the headwinds are there. Whether Brexit will lead to problems for the economy we’ll leave to others, but rising costs and the increasing share of online shopping is a challenging context for business viability. 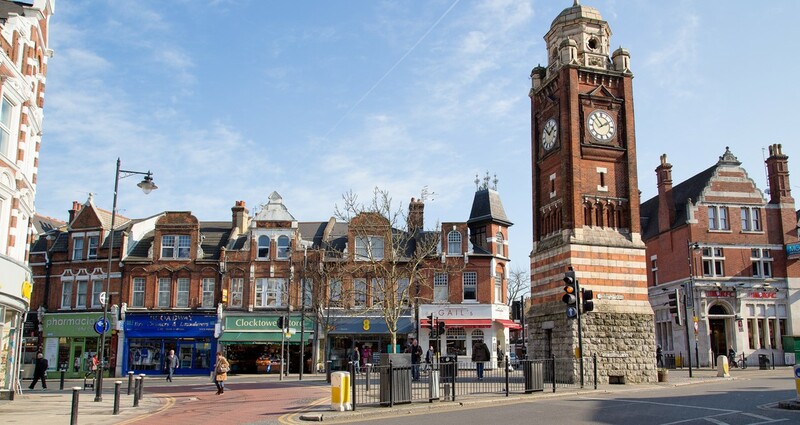 The imminent April 2017 revaluation of business rates remains top of the agenda for many, and Crouch End appears to be a considerable loser in the government’s revision: Average values for the main retail floorspace of shops are heading upwards from £575 to £950 per m2 on Broadway Parade, and £650 to £750 per m2 on Park Road (NB: the 2017 multiplier for the actual payable amounts is 47p in the pound). According to some reports payable rates on average shop units in the town centre are rising to £15,000 pa and more, an increase of 60% for some. The completion of the new 35,000 sq ft Sainbury’s store (with a 114 space car park) on Hornsey High Street may also have an impact – figures supplied some years ago suggested a potential 10% reduction in Crouch End grocery shopping. Will it simply replace the Green Lanes Sainsburys as a destination for the car-based weekly shop, or will the impact be felt in Crouch End? Both the Co-op and the Waitrose on the Broadway are smaller, less than 10,000 sq ft, and may hope that they continue to offer a successful model of convenience shopping. We aim to keep a watch on things. So will the independent stores be able to weather the storms? Will more chains arrive, or is the high street already at its limit? Will we see a rise in vacant units and charity shops? 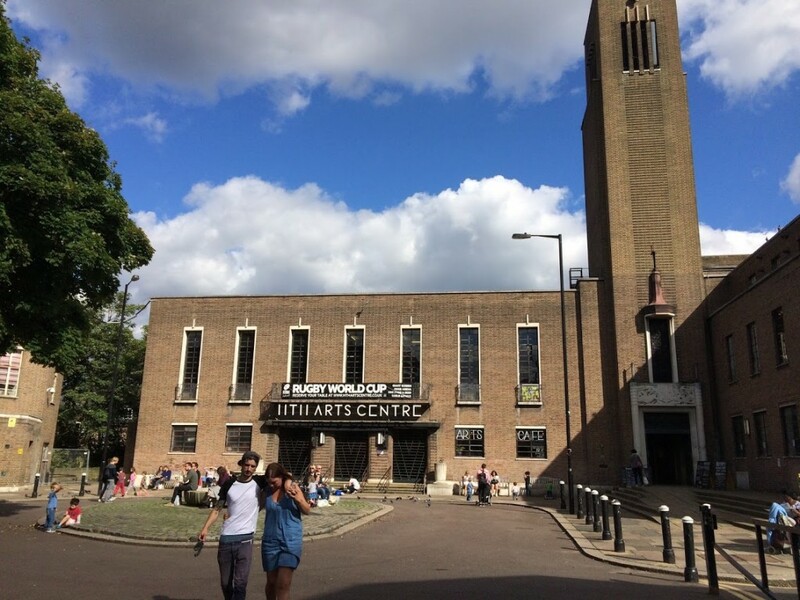 As Haringey Council devote their time, energy and resources to another huge re-development of Wood Green, the fear is that Crouch End will not receive sufficient support. 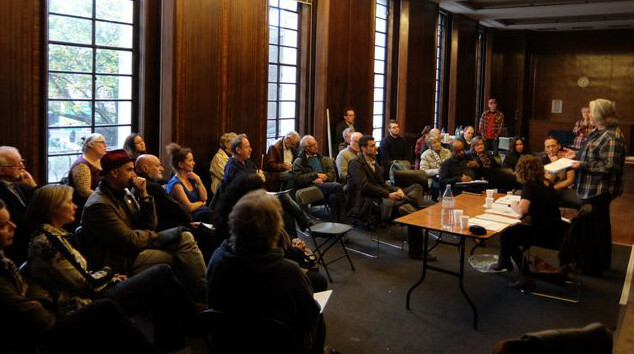 However, the Neighbourhood Forum exists to promote the interests of Crouch End, so let us know your thoughts, whether about development and land use policies or funding opportunities designed to protect and enhance the town centre. The overall shopping centre has 300 retail units – 67 are chains or retail multiples (22% of the total). Happily, the vacancy rate is at an appreciably low 12 (4%), even with the seemingly permanent eyesores of Middeys and the ex-Bouga restaurant. In the town centre there are 66 cafés, restaurants, bars and takeaways (also 22%); just 9 are charity shops, 21 are estate agents, and 30 hairdressers/beauty salons. By way of comparison, the smaller shopping centre of Muswell Hill has 204 units, 35% of which are chains (considerably higher than Crouch End); there are 42 places to eat and drink (rather less than Crouch End), and 12 charity shops (double Crouch End’s proportion).